The College Park Municipal Golf Course is an Historic site. It was built in the early 1900's. Although it is a 9-hole course, it is regulation length of 2987 years, consisting of 2 par 3.5 par 4, and 2 par 5 holes, which helps average players, but it's also hard due to it's hilly terrain, streams and on site lake. 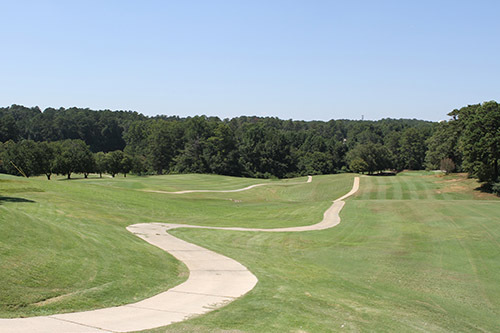 It is a beautiful course located just minutes away from Hartsfield-Jackson International Airport and more than 30 hotels. This is a smart way to pass the time between layovers and late arrivals. The golf course features a driving range, two putting greens and a clubhouse. It is also available for tournaments. The clubhouse is available for hosting weddings, receptions, birthday parties, high school and family reunions, as well as, various types of meetings. For more information you may visit our web site HERE.